Don’t know why I drew this a couple weeks ago. Was either thinking of the Blondie song (below) or just thinking I hadn’t drawn a skull or scary thing in a while. Blondie Die Young Stay Pretty. 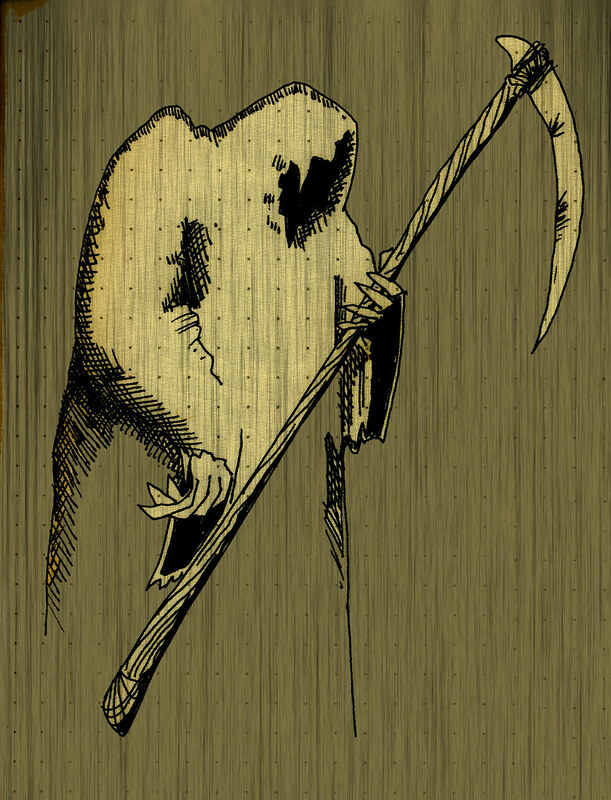 This entry was posted in death, grim reaper. Bookmark the permalink.